Aberdeen based engineering firm, Nucore Group, is successfully broadening its focus within the energy industry – most notably in offshore wind - as it confirms a number of successful projects and contract awards within the sector. The group, headquartered at Bridge of Don, a stone’s throw away from the Aberdeen Bay wind farm project, now protects and maintains some of the UK’s largest wind farms providing fire suppression and safety systems. Last month the group’s two firms - Oteac Ltd and HVAC & Refrigeration Engineering Ltd commenced contracts for the maintenance of fire and gas detection and suppression systems, FGas checks and HVAC equipment on the Walney 3 and Walney 4 substations for the Walney Extension offshore wind farm in the Irish Sea. The Walney Extension will be one of the largest wind farms in the world and when site testing is complete is expected to generate clean electricity by 2019. 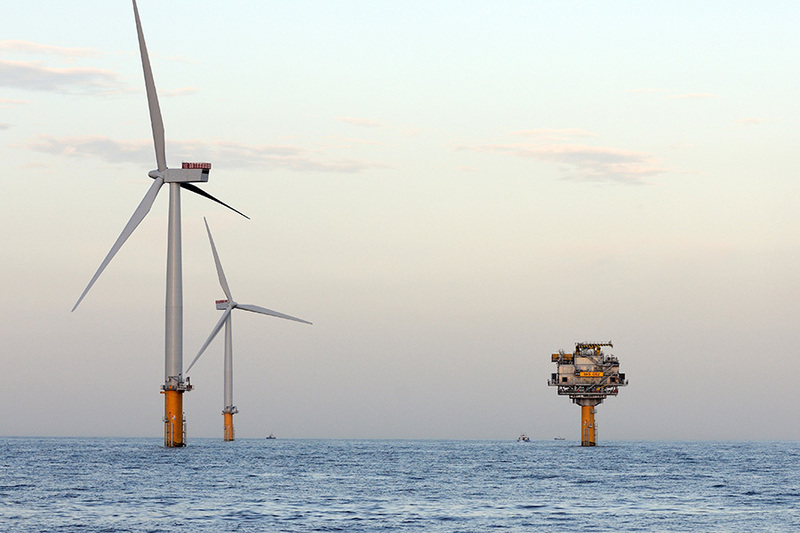 In addition, Oteac recently secured a 4-year contract with Statoil (now equinor) to deliver servicing and maintenance of fire and gas systems on the Sheringham Shoal windfarm transformer platform, off the coast of Sheringham, North Norfolk. As part of the same project, Oteac had previously designed, supplied, installed and commissioned fire protection and detection on this asset and its onshore control station and will continue to inspect and maintain the equipment on a bi-annual basis, protecting infrastructure and personnel. The windfarm which has been fully commissioned for over 5 years includes 88 turbines, two 900-tonne offshore sub-stations and has a capacity of 317 megawatts (MW). It powers 220,000 British homes with clean energy, resulting in a reduction of around 500,000 tonnes of CO2 emissions every year. Supporting its expansion in offshore wind, Oteac has installed a new Compressed Air Foam (CAF) system for a large UK windfarm on behalf of one of Europe’s leading energy companies. It protects the electrical transformers on-board the offshore windfarm substation. When in use, the system detects fire using high integrity flame detection and voting logic. In the event of a fire, the system creates a blanket of foam to quickly extinguish a fire, excluding oxygen, cooling and containing the fire within the vicinity. The environmentally benign foam, produced by Solberg, is the first of its kind to be used in an offshore wind farm environment. Dave Fyfe, Offshore Service Manager said: “Transformers contain oil and coolants known to present a potential fire risk to personnel and assets – the self-contained compressed air foam system (CAF) helps mitigate the risk to as low as reasonably practicable. If a fire were to occur around the transformers, it could result in daunting repair bills, lost revenue and operational downtime. The CAF system provides protection to the most volatile, but also the most valuable area on the platform. Nucore Group is a portfolio of specialist engineering companies which provide engineering products and services, from fire and security to climate control engineering. Headquartered in Aberdeen with over 33 years of group experience, Nucore Group currently comprises Oteac Ltd and HVAC & Refrigeration Engineering Ltd. Operating internationally with over 130 employees the group businesses support the oil and gas, marine, renewable and petrochemical industries, as well as large private and public-sector clients.